We have been serving Big Island divers from a little shop since 1975. Nautilus is located right-next to the Hilo Farmer’s Market under the big red dive-flag. 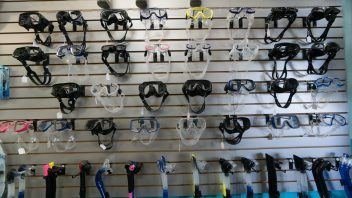 If you want to dive safe and comfortably in East Hawaii, Nautilus Dive Center is your one-stop shop for guided-tours, air, rentals, gear, advice and instruction. 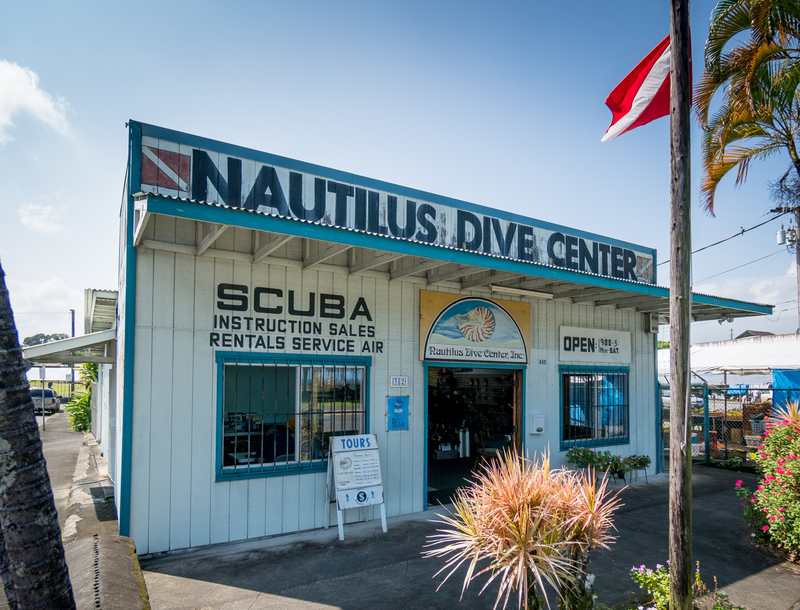 Nautilus is located right-next to the Hilo Farmer's Market under the big red dive-flag. Bill De Rooy - owner/operator of Nautilus Dive Center since 1982 and certified PADI Scuba Diving instructor with 2,000 successful student certifications - has been diving the Big Island for more than 30 years. Bill can personally direct you to the best dive sites, provide underwater maps and give you the details to make it easy; the best entry/exit locations, directions to must-see sights, and safety concerns. Not scuba certified? Discover Scuba Today! 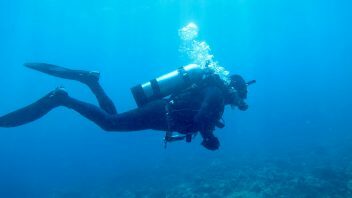 We offer open and adanced water certifications under the professional guidance of our dive instructors. "Just short of entering the water on my first training dive with 4 other students, Bill was confronted by an irate beachmom whose daughter had accidently buried a large barbed fishhook into the inside-base of her ringfinger while swimming. Bill stopped the class, calmed the mother and daughter, removed the fishhook in seconds without the girl crying, gave the mother medical instructions, and calmly gathered his students for our first dive. We all knew we had the right instructor. Bill would keep us safe - by himself."